Newest EOM helps veteran students realize their potential! You can always tell when someone loves their job. 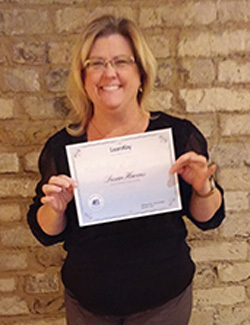 It’s not in what they say, it’s the results they achieve, and this month’s Better Learning Systems/LearnKey employee of the month is Susan Havens, a Veteran Services Representative who has a passion for helping students. This is evident in the way she supports the sixty-five (65) plus students she works with who are going through our Blue Ocean IT & Career Ready program! 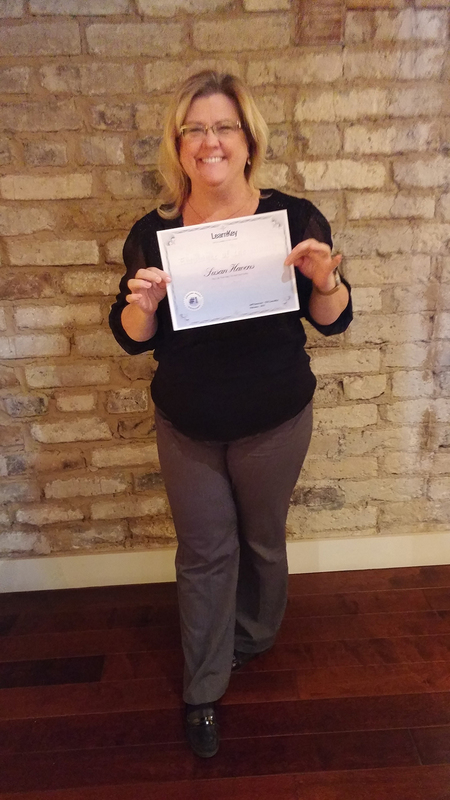 “Susan has done an amazing job taking the roll of supporting our Veteran Students, and has really helped mentor and motivate them to stay on track and achieve their goals. She is a true display of our core values by earning trust from her team members that she is going to follow through on any task she is given and is an absolute professional when it comes to customer service. We truly value her ability to dig in and figure out how to complete a task on time and she makes it easy for students to like her as she is always engaging with them frequently to ensure they are moving along in their coursework and removing any challenges they face”. How many siblings do you have? I am number 3 out of 3 brothers and 4 sisters. What is your favorite band? I love the 80’s Rock Bands…like Chicago, 38 Special, Foreigner, and Aerosmith. What is your favorite vacation spot? The central coast in California Pismo Beach, Arroyo Grande, San Louis Obispo area. Still a quiet beach community. What was your High School Mascot? A Porterville Panther. What is the weirdest combination of foods you have eaten? Honestly, I avoid weird foods at all costs! I’m not a big fan of weird or things that are considered NOT food. I will eat most anything, but weird. What is/was the name of your favorite pet? My favorite pet was a little Chihuahua named Annie. What was your first car? A yellow Datsun B210 and my favorite car was a 76 Camaro when I was a senior in High School. If you could go anywhere in the world where would it be? I’ve been most everywhere, but I would really like to go to Italy and visit the Leaning Tower of Pisa and Rome and Jerusalem and Greece. Would you rather sky dive, bungee jump, zip line, or parasail? I would probably have a higher percentage of survival zip lining. What is the funniest thing you have heard working here? Nothing specific, but I work with a bunch of witty people who crack me up everyday. If you could eat dinner with anyone past, present, or future who would it be? Bill Murray. He cracks me up and I love his sense of humor! Please join me in congratulating Susan on being our February 2015 employee of the month, and now that I know she does not eat weird food so much for her trying my home made Chili!.